Our lives are a series of small and not so small dyings and risings. In union with the Paschal Mystery, we realize that there is redemptive power in suffering, and in the power of the Cross. In it lies the answer to the mystery of all of life’s successes and failures. In the experience of the Paschal Mystery, we also realize the need for community. Learning to let go, change, and grow is part of the Christian journey. Catholic school students learn to experience God’s grace and presence in their lives through their relationships with family, friends, and teachers. The loving and supportive relationships they experience are reflections of the love and life-giving dynamic of the Trinity. As a community we celebrate our successes and achievements. We share grief and downfalls. We unite together in solidarity, and even challenge each other to become better reflections of the Divine. In the community of God, who is Father, Son, and Holy Spirit, we find the foundation of our sense of school and parish community. We are most like God when we are in community. Catholic school students are given the opportunity to explore the beauty and richness of Sacred Scripture seen through the lens of faith and lived out in daily practice. They experience the ongoing revelation of God in Scripture as the One who leads the Israelites through the Promised Land, and who redeems them through His Cross and Resurrection. They also come to view the human person as created in God’s “image and likeness,” and destined for eternal life. They learn to apply Scripture to their own lives as a tool for prayer and the true guide for virtuous living. Recent research has indicated that private school graduates are significantly more likely to actively participate in civic activities than their public school counterparts. Catholic schools were significantly higher than public schools in the percentage of graduates who actively participate in civic and community activities such as voting, volunteering, letter writing to legislators, and participation in community service. Catholic schools graduate good citizens and are good for our democracy. Catholic schools promote service as an essential component of their curriculum. 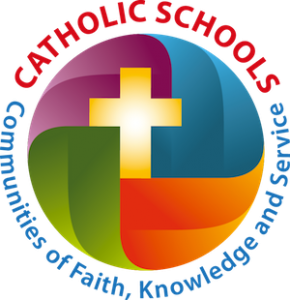 Many Catholic schools have service programs from kindergarten through twelfth grade. Higher education programs such as the Jesuit or Dominican Volunteer Corps promote service at the undergraduate and graduate levels. Diocesan organizations such as Catholic Family Services provide resources and help to people from all walks of life. Catholic school students evince high levels of generosity as adults, in large part in response to the many gifts they have received. Through Catholic education students are exposed to the richness of the religious Tradition. Music, Art, Literature, Drama and Ritual are rooted in the rich history of the Church, and find their truest glory as an expression of divine praise. The Fine Arts have a long, historical tradition in the Catholic Church and schools are privileged environments where the arts can be taught and celebrated. Catholic education has always been at the heart of the Catholic Mission. Catholic education, and the students who are the product of it, have been called the “greatest work of the Church.” They have been entrusted with the fullness of faith and have been charged with the mission of evangelization. They are to go out into the world and share the gifts they have received, as mothers and fathers, doctors, lawyers, firefighters, law enforcement,, businessmen and women, teachers, priests and religious. Catholic school graduates are well represented in all vocations and over-represented in the service professions. 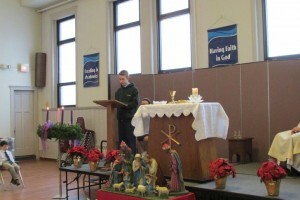 Catholic school students learn that excellence is a response to God’s blessings. Academic excellence is not a gospel value in and of itself. The Sermon on the Mount doesn’t say “Blessed are you who get all A’s.” Education must have an altruistic orientation. Students learn so as to help others, and make a difference in the world around them. The ultimate purpose of a Catholic school education is salvation.